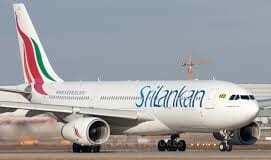 SriLankan Airlines said in a statement that it "wishes to clarify its position with regard to the utilization of one of its Airbus A330-200 aircraft. HOUSTON, Tex. - NASA's Johnson Space Center will officially handover the "keys" to the Space Shuttle Full Fuselage Trainer to the Seattle Museum of Flight in a ceremony at 8:30 a.m.